A study of QuantiFERON-CMV-Directed CMV prophylaxis versus Standard Of Care to reduce late Cytomegalovirus (CMV) reactivation in patients undergoing lung transplantation. A monitoring study using QuantiFERON to measure ‘net’ immunosuppression post lung transplantation. A phase 2 randomised, placebo controlled trial of bone-marrow derived mesenchymal stromal Cell infusions as treatment for new on-set chronic lung allograft dysfunction. Identifying non-invasive biomarkers of acute and chronic lung allograft dysfunction following lung transplantation. Each of us (except identical twins) has a different set of HLA proteins that sit on the surface of the cells within the lung (and other organs). This genetic signature differs between transplant recipients and their donor lung and is what drives the immune system of some transplant recipients to “reject” their lung. 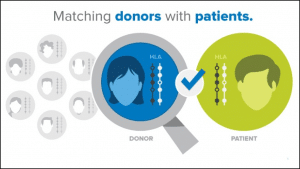 Historically, there have been relatively crude tools to assess the compatibility of the HLA of the donor with that of the recipient. In collaboration with the Red Cross, The Alfred’s Lung Transplant Service Team are exploring how the HLA Matchmaker program may allow them in the future to better match donor lungs with the “best fit” recipient. By improving donor/recipient matching, they will reduce the likelihood of subsequent rejection thereby increasing survival following lung transplantation. 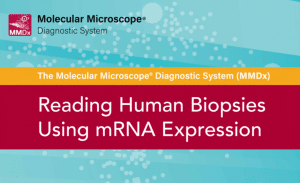 The HLA Matchmaker program allows the team to determine HLA proteins at a molecular level. Through a greater understanding of the precise shape and size of the HLA molecules, they can better predict which HLA proteins are more likely to switch on the transplant recipient’s immune system and trigger an episode of rejection. In recent work that they published in the prestigious “American Journal of Transplantation” they used the HLA Matchmaker program to show that lung transplant recipients whose HLA proteins were structurally very different to those of their donor were more likely to develop chronic rejection. In collaboration with the labs of Professor David Tarlinton (Monash University) and Professor Andrew Brookes (University of Melbourne) they will now explore how these structural differences in the HLA molecule switch on the immune system. The success of this program will be two-fold. Through better matching of donors and recipients they will improve donor organ allocation, but additionally through a greater understanding of the immune pathways leading to rejection they can better target their anti-rejection therapies. The Alfred Lung Transplant Service’s ‘Molecular Microscope’ Diagnostic System collaboration (the INTERLUNG Study) with the University of Alberta investigators and other international lung transplant units is now well underway. The Study collects small pieces of the transplanted lung in people with a small drop in lung performance, from both the sponge of the lung and the airways leading to it, and analyses them in the standard way under an ordinary microscope, comparing these to genetic analyses in Canada. The standard approach is often non-specific and does not help to guide treatment. The new genetic approach appears to be giving different answers that suggest alternative treatments – potentially helping lungs at a time before lung function is lost permanently. Historically, small pieces of the sponge of the lung are obtained to check for rejection, but the INTERLUNG Study is suggesting the potential of getting similar, or even better, results f rom bits of the lung airways. This would be an important innovation – noting airway tissue is easier and safer to obtain. The INTERLUNG Study is ongoing, as the team now tries to link the genetic results with long-term lung performance and different types of rejection. The work will be presented at next year’s International Society of Lung Transplant Meeting and a portion will be submitted for publication soon. Lung transplant research at The Alfred continues to flourish. 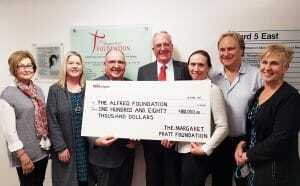 The Margaret Pratt Foundation has supported the research team in the running of several projects, and The Alfred’s Lung Transplant Research Team we have been excited by the progress of the research. Researcher Yvonne Cristiano has provided an update on these projects below. It was an exciting moment this year when our final participant completed this study in April. Since then the data has been analysed and we are thrilled to find that the primary aim of the project was met. The finding that QuantiFERON-CMV-Directed Care could reduce the incidence of CMV reactivation in the transplanted lung has led to a change in our clinical practice. QuantiFERON-CMV monitoring has now been introduced into our protocols for the care of our patients post lung transplant and our CMV management. This project was conducted over 5years involving 118 participants, and now with the introduction of this new clinical test, we hope to see this correlating to a reduction in CMV reactivation and the side effects CMV has on lung transplant recipients. This project recruited its 80th and final patient in July this year, with participant completion scheduled for July 2018. The QuantiFERON-Monitor blood tests measures the overall strength of a person immune system, which we are collecting at several time point during the first year after transplant. This project aims to show us the potential of this blood test to provide extra information regarding an individual’s immune system, and the possibility for guiding anti-rejection medications after transplantation. Managing chronic rejection after lung transplantation continues to be a challenge for all Lung Transplant teams. This projects is being led by Prince Charles Hospital in Queensland. The Alfred has recently obtained Ethics Approval to be a part of this project, and we have had our first patient undergo this therapy. The idea of using mesenchymal stromal cells to decrease the immune system and stop the progression of rejection is a novel therapy, with great potential to assist in the long term survival of lung transplant recipients. This project will continue over the next 5 years, with it anticipated to complete in 2022. Throughout this project many non-invasive biomarkers have been examined, some of these include Ativan, Follistatin, Natural Killer Cells, B Cells, De novo DSA and Cytokines of Aspergillus. There are 137 patients taking part in this project, with the final patient due to complete their participation in January 2018. This project has successfully answered many questions and in doing so raised many more. Analysis of the data from this project remains ongoing, along with analysis of the specimens. As a result of this project, we in the process of development a subsequent project (Biomarker 2), which aims to investigate the biomarkers influencing chronic lung allograft dysfunction (CLAD) further. The major cause of reduced long-term survival after lung transplantation is chronic graft rejection – also known as Chronic Lung Allograft Dysfunction (CLAD) – that disappointingly occurs to some degree in 49% of all lung transplant recipients by 5 years. It is dif cult to predict which patients will develop CLAD, which occurs despite these patients being treated with anti-rejection drugs life-long. Antibodies that attack the donor lung (antibody-mediated rejection – AMR) have been suspected as an important potential cause of lung failure and CLAD post lung transplantation. Our immune system naturally forms antibodies as a protective response against bacteria and viruses. In the context of transplantation, antibodies are good when they are ready to attack foreign invaders that can lead to illness, but antibodies can also be ready to attack foreign tissue – such as the donor lung. Currently, antibodies that can attack transplanted lung tissue, known as donor speci c antibodies (DSA), can be measured prior to transplantation with the aim of selecting a donor organ that minimises the risk of rejection. DSA levels can also be measured post transplantation to see if the patient’s immune system is actually causing harm to the patient’s new lungs. Identi cation and de nition of speci c types of DSA and their incidence in patients undergoing lung transplantation is key to understanding how the immune system makes such antibodies and how they contribute to AMR and ultimately to chronic rejection. The team from The Alfred Lung Transplant Service are collaborating with the Red Cross / Victorian Transplant Immunology Service to be able to more ef ciently detect and measure the presence of these graft-damaging antibodies in lung transplant patient’s blood samples. This collaboration also aims to develop a computerised matching program that will accurately identify problematic antibodies pre- transplant that will enable a better match between a donor and potential lung recipient, reducing the risk of antibodies causing the development of CLAD after transplant. The funding provided by this grant has thus far enabled the recruitment of a senior post-doctorate researcher, Dr Lucy Sullivan, to oversee the conduct of this very important project. So far the computer matching program has been used to demonstrate in a sub-set of lung transplant patients that better matching of donor to recipient protects against CLAD. This research was published in the prestigious journal, American Journal of Transplantation. Additionally, in a small group of recipients the team have shown that better matching also reduces the appearance of these antibodies. This research was presented at the International Society of Heart and Lung Transplant conference in San Francisco in April 2017. 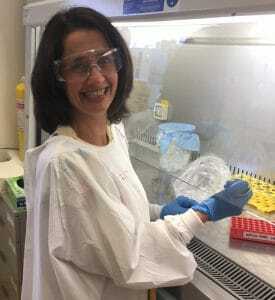 In collaboration with researchers at Monash University, the team have also started a project to identify the specific immune cells that produce these antibodies. So far, they have shown that the number of “B cells” is significantly increased in lung transplant patients that also have damaging antibodies. They are now investigating the characteristics and appearance of these “B cells”. Furthermore, in collaboration with Doherty Institute they are using advanced laboratory techniques to identify other specific immune cells that cause damage to the lung following the production of antibodies. They believe these cells to be a group of white blood cells called “natural killer” or NK cells. So far, they have identified that certain groups of NK cells will kill other cells when antibodies are present. The results, to date, from all aspects of this project are very pleasing, and the team anticipate being able to make considerable progress as they continue into 2018-19. Already this study is contributing greatly to their understanding of how and why harmful antibodies are produced and how to potentially avoid this process occurring after lung transplantation. HLA Matching at the Eplet Level Protects Against Chronic Lung Allograft Dysfunction. Walton DC, Hiho SJ, Cantwell LS, Diviney MB, Wright ST, Snell GI, Paraskeva MA, Westall GP.